An occasional blogging by myself, yours truly. 2019 Arrived... are you still with us ? Hope this year hasn't been TOO painful for y'all. It's been almost 3 years since I did anything with this here blog, instead concentrating my energies on Colonel Corn's Corner, and The Vapor Ninja. Click those underlined links there, would ya ? So what else to say, life is keeping us all very busy indeed, runnin' around with no heads, us chickens are. So, all the best out there, and stay tuned to my main sites for updates and news !! The doctors forced me to go to 1/2 of my original dose of morphine. It was a difficult time tapering down. I had successfully convinced my doctor that I needed cannabis therapy and he was giving me morphine while allowing my use of cannabis. Recently, my doctor fell gravely ill with a serious medical complication. So he can no longer practice. I'm scheduled to see a new doctor in a few days, and I will find out what his stance is on cannabis therapy and whether or not he'll allow me to continue with it. and visit http://thevapor.ninja for my vaping news and reviews..
Don't Forget & The Latest . Don't forget to visit The Vapor Ninja ! So how have things been ? I've been on morphine therapy for the past 13 years for chronic pain resulting from a car accident. I have also used my medicinal herbs, legal for me to use. Suddenly, a new 'pain management' person has come to town and taken over all pain relief medication prescibing, and not only is he cutting my morphine by 1/2, but he insists I don't use my legal herbal remedy. I can't "find another doctor" because this entire area has capitulated to this person. Attempts for out of the area care were met with them either not taking my insurance or not taking new patients. Urine tests are required every month and he will screen for my herbal remedy. This is under THREAT of SEVERE ILLNESS and DISABILITY, because cutting my morphine use suddenly would send me into a horrible 'detox/withdrawl' situation where I would be incapacitated for quite a while. I urge you to spread the word that the WAR IS NOT OVER. Plenty of people with upstanding permits are being forced off their herbal medications in order to get pain relief of any kind from a 'doctor'. I've been using my herbal remedy for various problems I have had for the past 32 years, with morphine added in 2002. Quitting my herbal remedy means upset stomachs, loss of appetite, and pain. Not to mention anger control, I get so angry at the powers that be that i finally break down and take some. If you support me, you'll share my story. Been a long long time since I've worked with this here Blogspot blog... can't remember hardly anything related to the setup of the site, ha ha. However, do not worry ! Your beer-less hero will prevail ! Seeing the stats on this site, I'm seeing people actually visit it quite often. So, I'm going to be paying more attention to this blog. Remember, my site at The Vapor Ninja and my main DJ Colonel Corn site are up and running, however, if anything should happen to me, this here is the only blog that will remain. So I've decided for a few reasons to get involved with this blog again. Where have I been ? Oh just here mostly. Same place. Oh one site that will also remain is my wordpress site. I've backed up my articles onto it so it should keep them for quite a while. Am I worried something might happen ? Not really. Just covering bases, and again, this site is getting hits. So what can I say. Spiritually I haven't been doing all that great as far as spending time with my God-brothers and God-sisters.... haven't made it down south this year. I've been in financial distress and unable to make the journey south to Soquel, California, where my Ashram is. I've spent the better part of my time alone, just listening to nature and then working on the ol internet... I'd ideally like to set something up to where someone can continue the website payments in case something prevents me from doing it, whatever that may be. I didn't go to town on the 4th, hid out in nature for the whole day pretty much. Normally I go to town to see our parade, and regret not going as I could've taken some good pictures. So anyway this is a heads up and an announcement that I'll be blogging here more often in the coming days. Long Hiatus - But I'm here ! Well, i can't believe it, but it's been since November that I've contributed to the blog. Once again it's time for May camping. If you have seen my other blog roll (click here), you'll know it's a great time. In devotional news, I met a wonderful devotee couple last night at the Wake of a friend. Very nice to meet them both. I gave them my number and hope they call me soon. I should've gotten THEIR number as well, so I could invited them to camping this coming weekend. Click Here for a YouTube of the fire from last year and the music, and here's another YouTube with lots of conversations going. My apologies for taking so long to get back to this blog. I'm primarily involved with my main site and my vaping site, so I've been pretty busy with those, forgetting to add to this one as well. Stay tuned until next post ! Been up to all kinds of things, and, having fun. Yes it's been a good 30 days for me. Lately things are a bit exhausting and draining, and some negative outlook is definitely there. Not sure where it's coming from. HOWEVER, I have the past month of goodness to fuel me thru this time. So I'm going to kind of echo a post on my main site here, talking about my new vape mod. 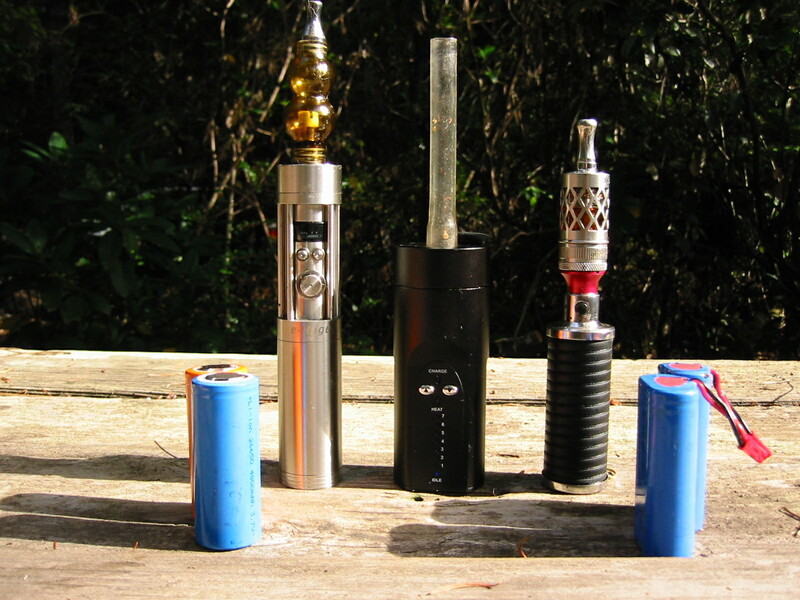 With these I can (left to right) vape cannabis oil, cannabis flowers, and nicotine extract liquid. The attachment on the left and right devices are interchangeable. The 26650 VAMO Mod / E-Huge with a MacTank by Macigs atty. So let me show you more of this 26650 VAMO MOD / E-HUGE that I got recently. 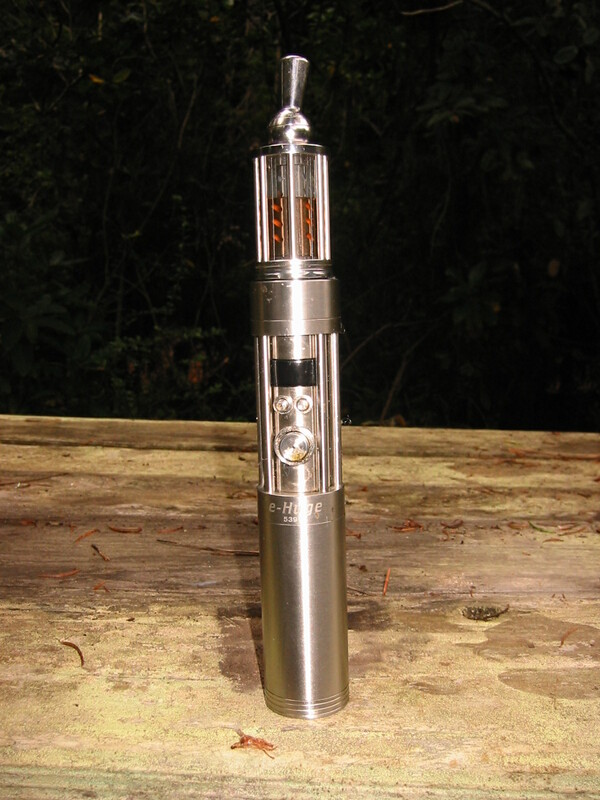 I was looking for a vape that would last all day and night into the next morning, with continous vaping (within human reason)... began looking at 26650 Mods (26650 refers to the size of li-ion battery it takes.) and this one seemed to fit the bill. You can read my in-depth review by clicking here. So, more later. Stay tuned ! The name on the blog may change as well. My followers to this blog are mainly devotees and the YouTube site, which is of course connected to this blog and all my Google pages, also, is full of devotional stuff. So the blog may change a bit, we'll see. At least the name will. My nights have been recently spent by working on my 2 main websites. My personal site, and a site for the Devotees. This site I haven't developed more with in a little bit, finding my Wordpress blog to be much more advanced in opitons and choices such as plugins and widgets. I must say this is a GREAT service for a free online blog. VERY nice. The Wordpress.com was okay, but really didn't show it's true capabilities until I moved it all to my private file server and became involved with Wordpress.org. Wonderful functionality. I just got all the plates (images) from Srimad Bhagavatam from my friend at innerschool.org , and also Krishna Book, Bhagavad Gita, and Chaitanya Caritamrta. Wonderful pics which I've always wanted to be able to share. Hope you enjoy them. Check them out. There's my entry for today, hoping all of you are well and my sincere affection to all the Devotees here. Looks like more of you are coming from seedfinder.eu, so, I'm again going to tailor my post for those folks, they keep on visiting the page and I should say something for all of them/you. First of all, let me say how MUCH STUFF I gotta do, omg, I've got a huge list of stuff to do, 5 feet long...! So, yesterdday was spent doing pretty much nothing except a bit of chat... enjoyed the day. However, all it did was give me more anxiety about what I didn't get done !!!! Yeah, funny how that works eh..
Everything green here is doing quite well. I assume you already read my review on seedfinder.eu . If not, click here to see it. So, I highly recommend that strain. Not much else I can say, does great both inside and out. As far as the site goes, I've changed a few things. Allowed comments outside of Google+ users (feel free to try it out!) and have some more ideas for the site. Still busy with my 2 other sites, djcolonelcorn.com and bhaktisundar.org . Lots of work going on in the background, you won't see it until it's released. As always, open to suggestions and advice. What do YOU want to see on this site ? Leave me your message below. Off to start a whole new day ! Weather has been great. Today I gotta somehow stay off the pc and get some work done ! Wish me luck ! A shallow magnitude 3.9 earthquake was reported Saturday morning nine miles southwest of Willits in Northern California's Mendocino County, according to the U.S. Geological Survey. The temblor occurred at 8:45 a.m. Pacific time at a depth of 1.9 miles. According to the USGS, the epicenter was 19 miles northwest of Ukiah and 118 miles northwest of Sacramento. More from September. Wedding etc. Here's basically the last post continued, the formatting got weird and I had to end it there. So, as I said, in the last post, after the Prasadam Distribution, I went to Ben Lomond for my friends' wonderful wedding. Sriman Bilwa Mangal Prabhu (left) and I after the wedding. Saw tons of friends, and was a Groomsman so I was very involved, heh. I basically introduced Bilwa to his Wife, Vaidehi Devi Dasi. They are wonderful people who are truly blessed to have one another. Nadia Devi Dasi and I at the wedding. Truly a spiritually focused wedding. 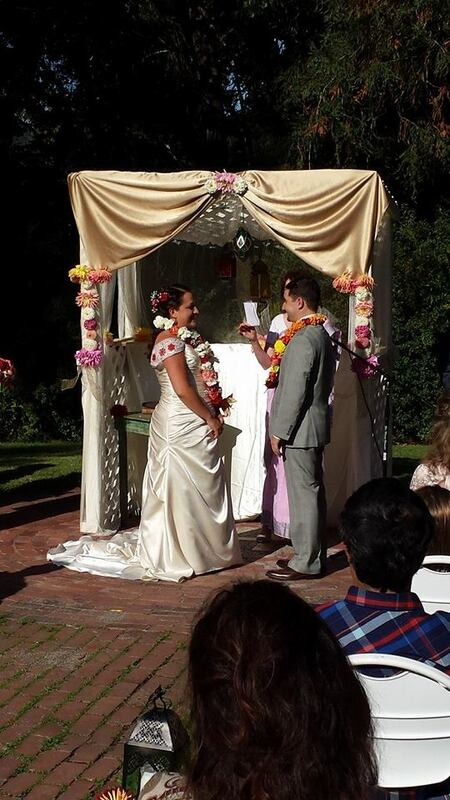 Two Sannyassis attended, and their vows were all about serving Krishna (God) together in this life and the next. Beautiful ceremony. Vaidehi Devi Dasi, the Bride ! I've known both the Groom and Bride for many years, and it's a joy to see them together! So, it was a great day. I'll leave you with my friend's watermelon art, the mother of the Bride made this for the occasion. Neat huh ? Take care, and I look forward to sharing more with you soon ! (C)(P)2014-2019 ColCorn Music. Awesome Inc. theme. Powered by Blogger.